Well I can’t tell you how happy I was to see our first topic of discussion – A Resolution to be Content. I long to be content! I have so much energy and passion which is great but it can also mean that I can’t sit still for two minutes. I perceive contentment as being something peaceful and beautiful and I crave it. 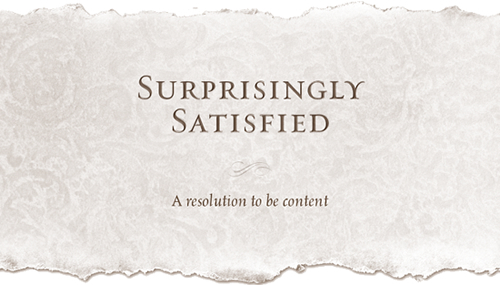 So when I saw that the first resolution was a resolution to be content I was very pleased. Tonight at Girl’s Night we studies the four section of the A Resolution to be Content and it was really powerful. One things that really struck me was that, and let me emphasise it….. 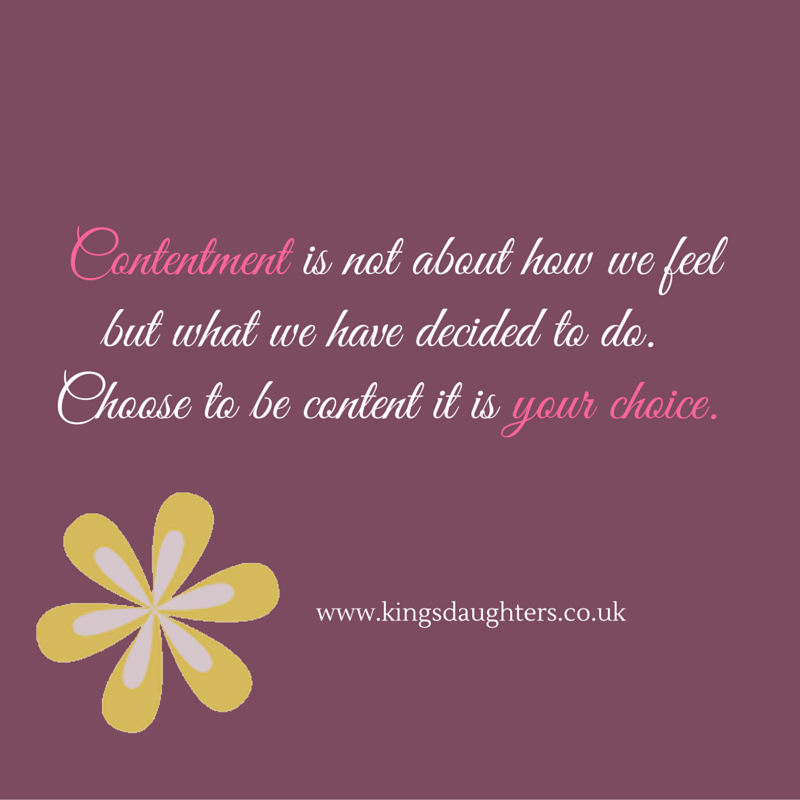 Choose to be content – it is your choice! That is my take away from this evening, but let’s get back to the beginning so I can share with you how I got to this conclusion. This section was about making every moment in our life count. Too often we don’t live in the moment because we are yearning for the next moment, completely unappreciate the moment we are in or even dwell in the past. It’s all about making every moment count! Ironically it seems that the more we have the less content we are. In this section we are challenged to give out of lack and no necessary only out of our abundance. Luke 6:38 says, “Give, and it will be given to you. A good measure, pressed down, shaken together and running over, will be poured into your lap. For with the measure you use, it will be measured to you.” We are also challenged to give of ourselves but also to find the balance and know when to say no. Wow, what an amazing start to our journey together this year. It is a lot to digest but not to worry we have a full month to put this into practice before our next Girl’s Night.